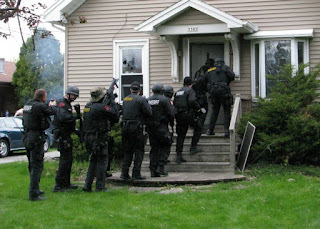 Pro Libertate: The Resistance Rises: Reinstating the "Castle Doctrine"
The Resistance Rises: Reinstating the "Castle Doctrine"
“You have men and women in your community who are willing to die for you, willing to die for your family,” insisted Lawson, who – as a former police officer herself –spoke on behalf of 15,000 members of the police union. The only suitable way to display proper gratitude to the heroic paladins of public order, according to Lawson, is to protect their purported authority to invade your home and kill you with impunity – a privilege that would be undermined by SB 1. 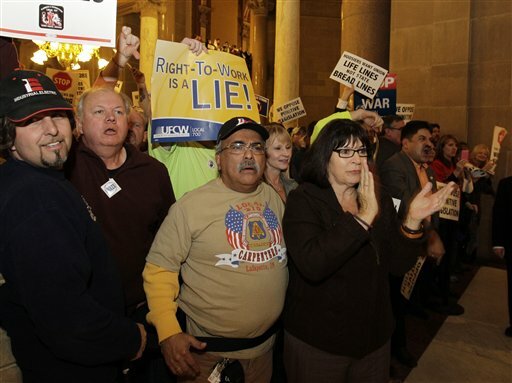 Tool of the Police Union: Rep. Lawson (right foreground). Although Lawson’s hunting metaphor was probably used because it was a convenient cliché, it contains a deeper significance that should not be ignored: Like the rest of the State’s exalted brotherhood of coercion, she assumes that the privacy of the individual’s home falls within the police officer’s natural habitat. SB1 is not an innovation; it simply restores an explicit understanding of Indiana’s “castle doctrine,” which was subverted last year in the Indiana State Supreme Court’s Barnes v. State ruling. As a wire service report observed at the time, that ruling effectively nullified the core protections contained in the Fourth Amendment and the equivalent provision in the Indiana constitution, as well as protections and immunities recognized by "common law dating back to the English Magna Carta of 1215.” The 3–2 decision last May 12 held that Indiana residents have no right to obstruct unlawful police incursions into their homes. As summarized by a legislative report last November, the incident that gave rise to the Barnes ruling occurred four years earlier, when police were summoned to the home of Richard Barnes and his wife by a 911 call reporting a domestic disturbance. Barnes was in the parking lot arguing with his girlfriend when the police arrived. She had already thrown a duffel bag of his belongings outside the apartment, and told him to “take the rest of his stuff.” As Barnes re-entered the apartment to do so, the police attempted to follow him inside. Barnes quite properly told the police to stay out, and enforced that lawful order by shoving a police officer who disobeyed. Barnes was charged with Battery on a Police Officer, Resisting Law Enforcement, Disorderly Conduct, and Interfering with the Reporting of a Crime. The judge rejected a proposed jury instruction that Barnes had the right to resist unlawful police entry, and he was convicted on the second and third charges. The Court of Appeals ruled that the trial court committed a reversible error by rejecting that jury instruction. The state, frantic appealed to the Supreme Court, which upheld Barnes’s conviction. Although the "risks" to a police officer in such an encounter are vanishingly small, we shouldn’t forget that at all times, and in all places, "officer safety" is the controlling priority. "It's not surprising that [the court] would say there's no right to beat the hell out of the officer,” commented Professor Ivan Bodensteiner of Valparaiso University School of Law. 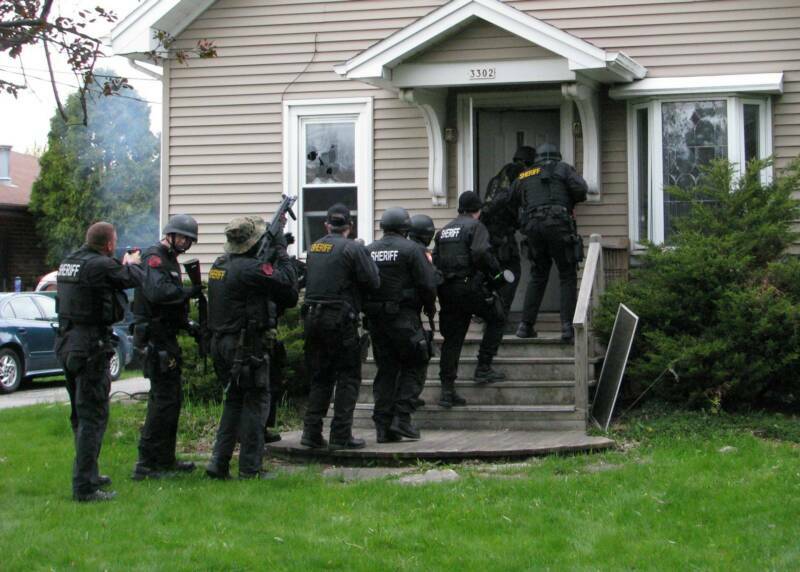 When a cop invades a home without legal authority, he is acting as a criminal, rather than a peace officer. SB 1 recognizes that principle by focusing on the act of illegal entry, rather than the identity of the aggressor. The measure allows for forcible entry only when the officer has a valid warrant or legitimate probable cause; is in pursuit of a criminal suspect; or is acting with the consent or on the invitation of an adult resident. In other words: It would restore the status quo ante Barnes, which – in nullifying the Fourth Amendment – actually issued a hunting license to the police. Last June, 71 members of the state legislature filed a petition with the Supreme Court protesting the Barnes decision and demanding that it be revisited. In September, the Court issued a ruling reiterating the claim that “the Castle Doctrine is not a defense to the crime of battery or other violent acts on a police officer,” and recognizing that the state legislature had the authority to create statutory defenses against that supposed crime. Such talk is intolerable to those employed by Indiana’s affiliate of the Homeland Security State, who insist that public policy must preserve the privileges of the powerful, rather that the rights of the individual. A far greater and more common danger is that posed by police officers who are high on the most lethal of all narcotics – power. The official position of the Indiana Fraternal Order of Police is that any use of coercive force by the State’s costumed enforcers is self-validating. “Our position is there is never an opportunity to resist law enforcement,” insisted Bill Owensby, president of the Indianapolis FOP. A great deal is revealed in Owensby’s choice of adverb: “Never” would apply to situations in which police officers commit unambiguous crimes against person and property. Among the most prominent critics of SB 1 are rent-seeking activists and social engineers attached to the state’s domestic violence industry, who insist that the measure would impede the ability of police to respond to situations involving spousal abuse. Under the “no-resistance” doctrine, however, a police officer can commit domestic violence and then charge the victim with a crime if she resists. As was illustrated by the case of Jerry Cunningham, the former assistant chief of the Danville, Indiana Police Department, police and prosecutors are eager to extenuate crimes of domestic violence when perpetrated by a member of their hyper-violent sodality. In October 2010, Cunningham – who was in the middle of a divorce – tracked his estranged wife to another man’s home. After tearing down the screen door, Cunningham began what was described as an “altercation” in which he slapped his wife and slugged her paramour. A neighbor called 911 to report the incident, but made the mistake of identifying Cunningham as a police officer. As a result, rather than being “cuffed and stuffed” by a SWAT team, Cunningham received the personal attention of Chief Keith Gill, who displayed unaccustomed daintiness in bringing in his underling. Rather than booking him immediately into the jail, Gill took Cunningham to his home “to find out what’s going on – call for help, call for some counseling,” the Chief later recounted. After being placed on paid vacation (which was hastily redefined as “medical leave” in order to keep him on the payroll after the police merit board ruled that he be suspended without pay), Cunningham faced three charges, including a felonious unlawful home entry. He was eventually found guilty only of one count of misdemeanor battery. He was given a 363-day suspended jail sentence and slapped with a fine of $1. He was also permitted to keep his job, albeit with a reduction in rank to patrolman – a position in which, under the Barnes ruling, he would be permitted to invade homes at will and shoot anyone who resists his criminal aggression. Cunningham was not the only domestic abuser on the payroll of the Danville PD, nor was he even the most violent offender; that distinction belongs to Officer Chris Gill, the Chief’s son. According to his ex-wife Teresa, Officer Gill repeatedly beat her, throwing her against the wall of their home and even threatening to murder her in the presence of their child. An investigation of Officer Gill conducted by Policeabuse.com – a group composed of retired police officers, private investigators, and court-qualified expert witnesses on police practices -- revealed a long history of official misconduct and criminal behavior by the gypsy cop. Gill had been cashiered by police departments in Paris and Atwood, Illinois, before his father made room for him on the Danville PD. Sheltered behind the impregnable barricade of nepotism, Gill continues to prowl the streets of Danville despite protection orders granted to his ex-wife and ex-in-laws – and a pending criminal trial on domestic abuse charges. As her marriage with the officer disintegrated, Teresa Gill placed their daughter with her mother and father, Joyce and Robert Abernathy. 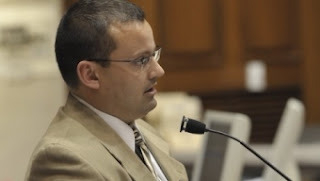 In March 2010, while Officer Gill was still on the payroll of the Paris, Illinois PD, he used his position to remove the child from the Abertnathys’ home: He filed a false police report claiming that Teresa had threatened to kill that child. As he collected the child from her grandparents, Gill lifted his coat to display his gun and badge in a vulgar display of murderous intent. Aiding and abetting abuse: Keith Gill, Danville's nepotistic Police Chief. During an April 2010 child visitation, Gill assaulted both Teresa and their son, which resulted in Teresa filing felony domestic battery charges against him. Gill, who stands to lose his job if he is convicted, has repeatedly barraged his soon-to-be-ex-wife and her parents with threats of lethal violence – while reveling in his sense of privilege as a member of the Brotherhood in Blue. During legislative hearings about the Barnes ruling, Leo Blackwell, President of Indiana’s Fraternal Order of Police insisted that “legal disputes about the right of entry should be decided by the courts, not on the doorstep.” Under the supported by Blackwell’s police union, Gill could invade his estranged wife’s home without a warrant or probable cause -- and then arrest and charge her with a crime if she proved to be insufficiently submissive. Sure, this would eventually get straightened out by the courts – assuming that Teresa and her children survive the initial encounter. “The FOP will not compromise when it comes to officer safety,” declared Blackwell in a recent legislative alert to union members. SB 1 “is terrible for law enforcement and could result in the loss of life (maybe yours) if passed.” According to the union, it is “never” permissible to resist a police officer – even when the sacred cause of preserving “officer safety"means leaving a battered and terrorized woman entirely defenseless because the terrorist is carrying a badge. * It should be acknowledged that Rep. McMillin's zeal for uniform application of the law has its limits: He withdrew a measure proposing drug tests for welfare recipients after it was amended to include legislators. For McMillin, apparently, some tax-consumers are more equal than others. Your help in keeping Pro Libertate on-line is greatly appreciated. Thank you! Among the most prominent critics of SB 1 are rent-seeking activists and social engineers attached to the state’s domestic violence industry, who insist that the measure would impede the ability of police to respond to situations involving spousal abuse. This should be no surprise, but not for the reason your anecdotal example provides. Rather, women more often than not use the DV laws to bring on the state's costumed marauders to be used against men. There are many, many cases where women use falsified claims against men to have them removed from the home and often to gain the upper hand in custodial disputes (you can read daily examples of this behavior on the fathersandfamilies.com blog). The truth is that women misuse the DV laws far more often than men do. Then again, can a state costumed male be considered a man? It's interesting to see this conflict play out. On one side (courts and cop union) is the never-ending tendency of the state "to reduce them under absolute Despotism"; on the other side (the legislature) to keep a lid on that so as to avoid a complete blowup and loss of revenue from the parasitized herd. In neither case do they care at all about us. Somehow under this wretched regime, it is hard to keep any faith in institutions any more. Even a "lawful" warrant starts to raise questions. Why? 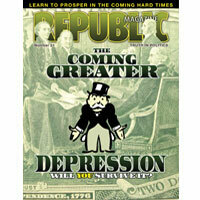 Consider the source - the same people who want you reduced under arbitrary despotism. Which probably explains why divorce, child custody, and domestic disputes have become so deadly over the last few decades. Power over other people... the most horrible, addictive drug in the universe. Why do we give others power over us? When some people have power over other people, tyranny is the inevitable result. "Which probably explains why divorce, child custody, and domestic disputes have become so deadly over the last few decades." I have to think this attack on males is behind the trend, noted by Charles Murray, of working class whites to resist getting married. The woman makes the claim and the man's life is destroyed. If the man has enough money to hire good lawyers, he can escape some of this. For a working man, the high priced lawyer isn't an option. On the subject of resisting police, drastically reducing the ability of LE to conduct no knock or the infamous "3 second door kick" would make both the citizens and the police safer. "we shouldn’t forget that at all times, and in all places, "officer safety" is the controlling priority"
Law enforcement and citizen rights are not the top priority. No wonder. “open season on law enforcement.” Memo to Mzzz Lawson: There was a time not that long ago, we had a Constitution. I suggest you read it and abide by it. It might save a few lives. Ya know, like those killed by law enforcement by unlawful entry. Not to mention shooting up the wrong house. Good to hear there is a "nudge" against the encroaching police state, at least in Indiana. Last night I had the misfortune of watching over fifty per cent of my county, Ada in Idaho, hoot and holler for a warmongering statist. Talk about depressing. That's when you realize that some folks are so incredibly ignorant that it pains me to even think about them. Jerry Cunningham, the former assistant chief of the Danville, Indiana Police Department. If he was convicted "only of one count of misdemeanor battery". He would have been convicted of domestic violence and ineligible to own or carry a handgun, under the Lautenberg Act. The ultra right-wing state of Indiana deserves what ever it gets from law enforcement. You can't have it both ways. You people want to lean so far to the right on every other issue, it's no surprise that you have fascist, out-of-control thugs in uniforms as your "protectors." Live as right-wing a-holes, eventually you will get abused by right-wing a-holes. Good luck with that. Do we really want some cop who is probably on steroids, Meth or ecstasy roaming the streets looking for someone to beat up or shoot for the thrill of it? Last month, 4 Orange County cops in California brutally shot a marine to death in front of his two children. He had done nothing to provoke this brutal act of murder. So what will happen?They will be placed on administrative leave with pay and after a sham investigation will be returned to the streets where they will murder another innocent victim. The cops in America are on a drug fueled rampage. The drug of power twisted and perverted by the use of narcotics and steroids. They are a danger and threat to the public. the topic of cops breaking into homes wrecked by storms and taking guns has come up in the news again. MSN reported on the tornado March 6. Guess what they said. Cops are "helping" the owners. Severly retarded is all you can say, police state, losers that were not popular in school. Thugs and they should go to prison, and then they can marry some one who will abuse them along with the rest of the cell block. Being a pig just makes it better for those in the joint. Update. I tried to comment twice but it wouldn't post. The story is MSN March 6 "snow and cold add to tornado survivors' misery." There was a boy thrown 350 feet, a woman who lost her legs, and cops stole--ahem, took--everyone's guns. I would have asked if the cops are going to "protect" our TVs, cars, ACs, gold, silver, jewelry and watches. On a lighter note I had to laugh at the picture of the dog. That's originally from an old National Lampoon cover from the 70's, I believe, where it said, "If you don't by this magazine we'll kill this dog". Ah! Those were the salad days. Funny photo, but the cops will kill the dog anyway on entry for Officer Safety. He really hates dogs. I am really sick and tired of hearing that 'officer safety' is above all other concerns. Cops are hired to take risks in handling citizens. If they feel the risks are too great, they can find another line of work. No citizen should have to give up any more rights. We also need a law that says cops cannot fire until fired upon.